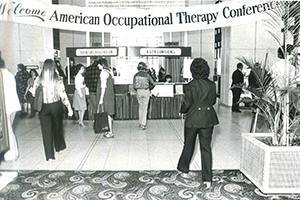 The American Occupational Therapy Association’s (AOTA’s) annual conference has been a place where those in the occupational therapy field gather to share ideas, theories, studies, and tools. Let’s take a look at the past conferences. Treasurer – Dr. William Rush Dunton, Jr. 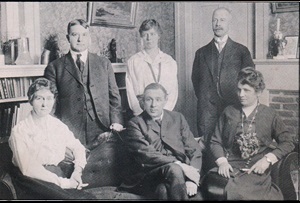 The first conference in 1917 was held in New York, NY. A total of 10 conferences have been held in New York State, tied with California. While the conference has been held all across the United States, it was also held in Toronto in 1931 and San Juan, Puerto Rico, in 1977. 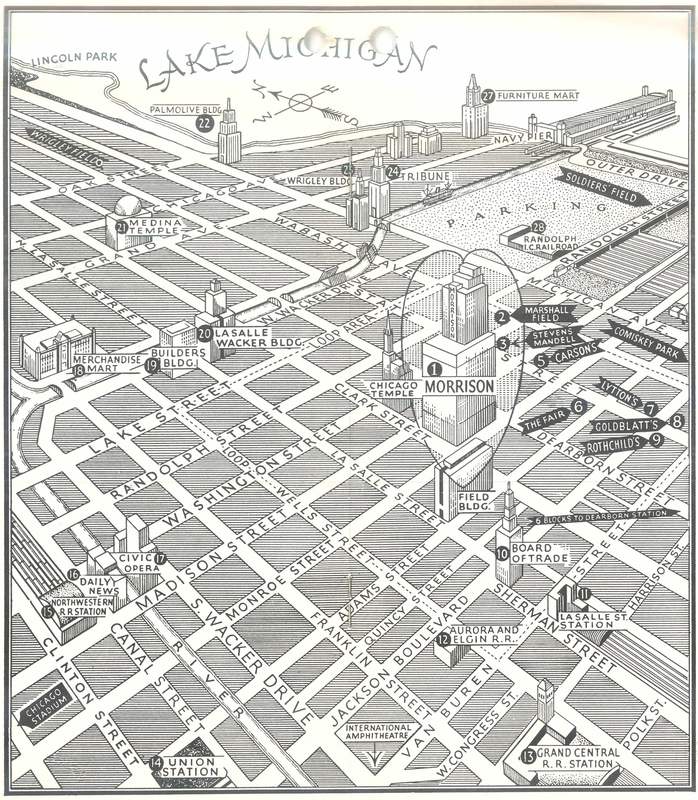 The San Juan conference offered Spanish translations inside the guide for conference attendees. Check out a gallery of conference guide covers and tell us about your first conference. In the early conference days, movies were regularly shown. These ranged in length from 30 minutes to an hour and a half and covered a range of topics important to the profession. Banquets were held at many earlier conferences, and usually came with their own invitation, separate from the conference guide. Most of these invitations appeared to be hand-drawn. These three-course banquets offered dishes such as filet mignon with mushroom sauce (1935, 1940, 1956), half spring Chicken au Cresson (1936), and Cornish hen stuffed with wild rice (1973). The banquet was usually at the hotel where the conference was being held. 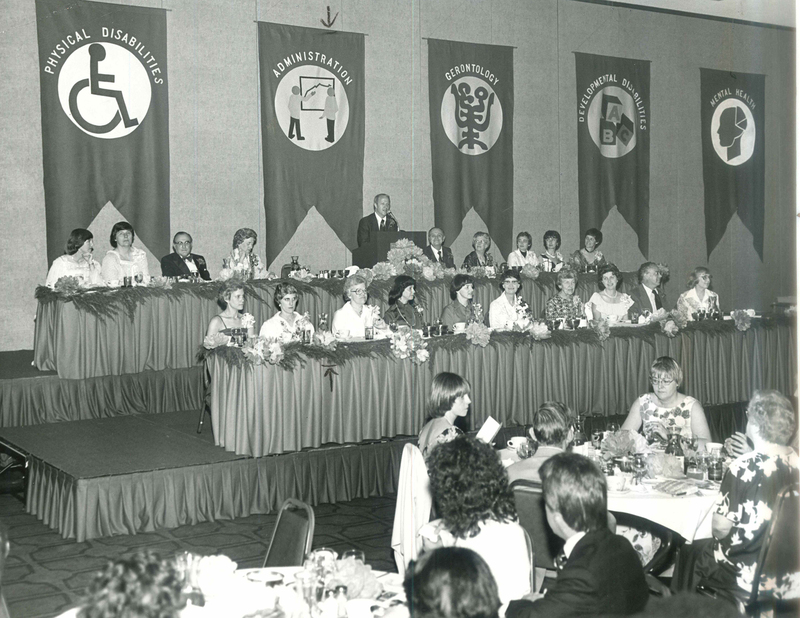 A banquet at the 1978 Annual Conference. Hospitality books were also given out at conferences, to let attendees know what was in the area to see or do, including area attractions, shops and restaurants, hair salons, and churches. Most books contained a map of the surrounding area. 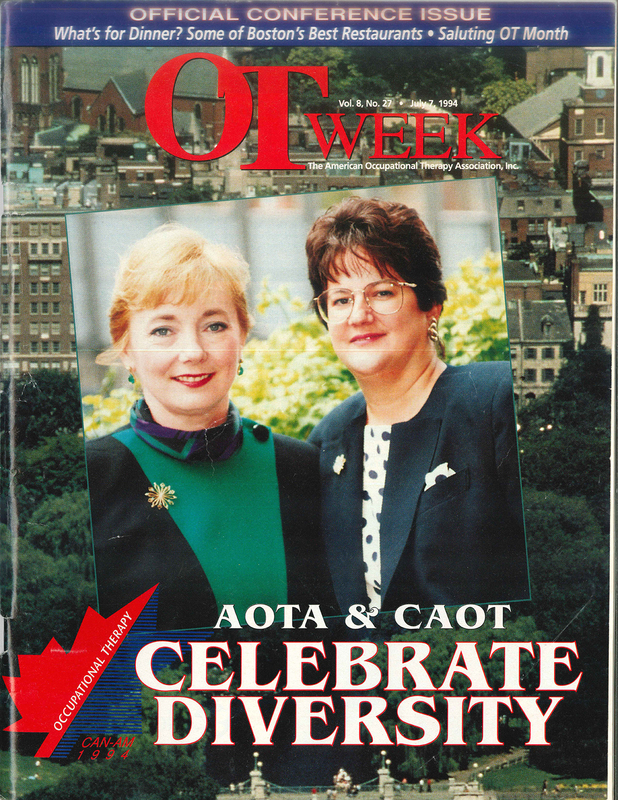 In 1994, AOTA and the Canadian Association of Occupational Therapists had a joint conference, CAN-AM, in Boston. The cover featured English and French, as well as the welcome messages from the respective associations. The registration area for the 1980 Annual Conference. Tell us about your first conference. Ready to be a Part of the Largest Gathering of OT in the World? Learn about AOTA's Annual Conference & Expo and register to attend. Interested in Using Photos? 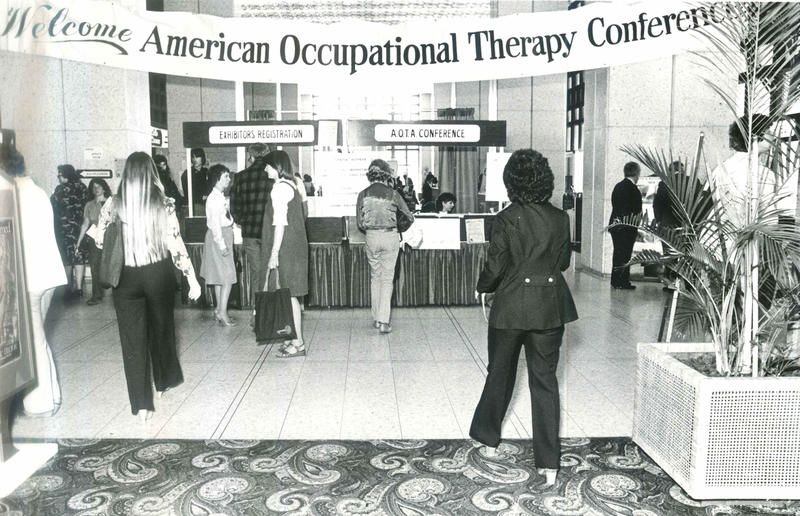 The photos on this page are part of the archive of the American Occupational Therapy Association, Inc. If you'd like to use the photos, fill out this agreement and send it to copyright@aota.org. Note that a fee applies to all requesters, including AOTA members. Want free photos? Check the collection of photos that can be used at no cost with attribution. From banquets to hospitality guides, learn about annual conference through the past 100 years.